The firmware is for i3_ULTRABASE,please click on it to download. The firmware is for ANYCUBIC I3,please click on it to download. The drive_Win is for ANYCUBIC I3,please click on it to download. The drive_Mac is for ANYCUBIC I3,please click on it to download. The drive_Linux is for ANYCUBIC I3,please click on it to download. The driver Cura_15.04.6_Mac is for ANYCUBIC I3,please click on it to download. The diver Cura_15.04.6_Win is for ANYCUBIC I3,plesae click on it to download. The test model owl_pair is for ANYCUBIC I3,please click on it to download. The test model fengzui is for ANYCUBIC I3,please click on it to download. This user manual is for Anycubic i3_Ultrabase Version,please click on it to download. 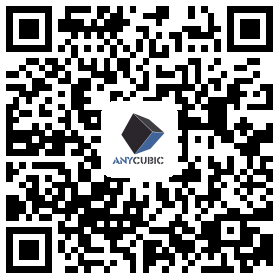 The user manual is for Anycubic i3,please click on it to download. The manual about the steps of uploading the hex firmware by cura, please click on it to download.